Hello fans! El Bolso is here one more time. I’m already getting excited for next week’s CONMEBOL World Cup qualifiers, but this week I want to talk about the defending Uruguayan league champions, my beloved Nacional. Let’s get to it! 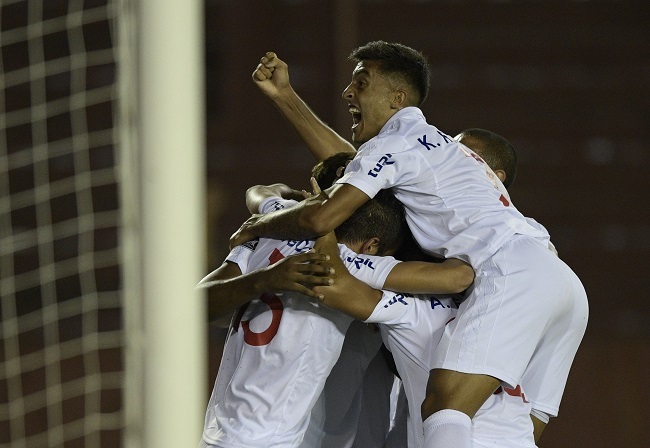 Nacional won last year’s Campeonato Especial by stealing enough points on the road to complement a perfect home record. 7 games, 7 wins. So far this year, Martín Lasarte‘s team is sticking to the plan: Their first 2 games at home for the 2017 Apertura tournament were a huge. First, a come from behind 2-1 win versus perennial power Danubio, and this past weekend’s wild 3-2 win against Racing, in which the Tricolores came back to tie the game not once, but twice. Newly signed forward Rodrigo Aguirre was fundamental in the former, scoring both late goals after coming into the game as a sub, while returning playmaker Hugo Silveira (more on him in a moment) got the game winner against Racing. The surprising thing so far this season, however, has been Nacional’s play on the road. Sure, walking all the way from the Parque Central to the Estadio Centenario (about 20 minutes?) for week 1’s 1-0 win over Juventud may not seem like a big deal, but going all the way to Colonia to play a Plaza team desperate to stave off relegation (another 1-0 win) is a tough proposition. 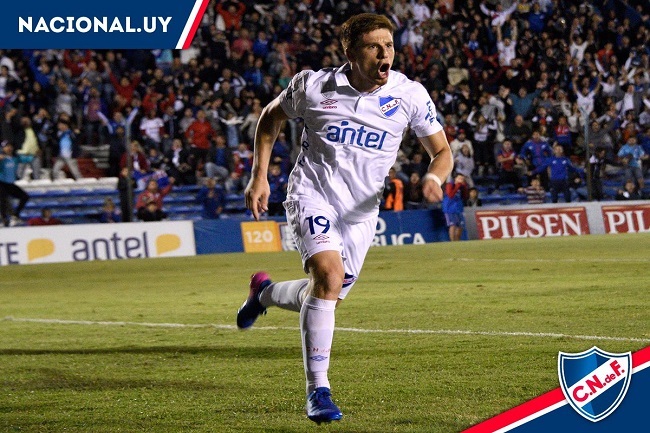 Nacional has played 3 games on the road so far in 2017, and won each one by the same 1-0 score. 6 weeks into the local league season, Nacional is the only team that has not yet lost points; sure, they’ve only played 4 games, with matches against Peñarol and River Plate (no, for the last time, not that one) postponed for various reasons, but still, a perfect record is a perfect record. Lasarte’s team always seems to do juuuust enough to get the 3 points (5 official games, 5 wins, all by 1 goal). The combination of a strong base left over from the last 2+ seasons and a couple of key additions (is that… IS THAT TATA GONZALEZ‘S MUSIC!?) means the club has fortified its weak spots without sacrificing the strong teamwork that helped win last season’s title. These players know one another well, and it shows. It’s a long season, and it’s just getting started; there’s no reason to get overly excited yet. But Nacional has taken care of business so far, and that’s much better than the alternative. Lasarte is now in his 4th season as Nacional coach (2 now, 2 a decade ago) and looking for his 4th league title, which would tie for the most by any single Nacional coach ever. The man’s schemes aren’t necessarily pretty, but he gets the most out of what he has, and he wins. Here’s hoping he’ll be lifting yet another cup come next December. So what about that 5th win? Last week Nacional began their 2017 Libertadores Cup campaign by traveling to Buenos Aires to face defending Argentinian League champion Lanús (it’s pronounced lah-NOOSE, you gutter-dwelling swine). This was arguably its toughest match of the group (although facing sentimental cup favorite Chapecoense FC in Brazil will be no picnic), and the Tricolores were hoping to steal a point to get off on the right foot in South America’s biggest club soccer competition. They did more than that: they made Hugo Silveira’s goal 25 minutes in stand for a yooge, yooge (did I mention YOOGE?) 1-0 road win and a share of first place in the group. Again, Lasarte’s team didn’t wow anyone with their ball skills, but they were solid in back and in the midfield and made their chances count, at times looking like the home team, and at others just doing enough to scrape by. Look, again, it’s really early, and it even this big a win won’t mean much if Nacional stumbles this week at home against Venezuela’s Atletico Zulia. But, a win is a win, even more so on the road against what looks to be the team’s main competition for a second round berth. It’s certainly better than the alternative. Let’s hope Lasarte and his team can keep it going. Cover photo courtesy of the El Pais.